Merwin writes: My wife has a Kindle. I have the Kindle app on my iPad 2. Can we share purchased books between the two devices? How? Hi Merwin! Great question. The answer: Sure—but depending on the scenario, it could be a bit complicated. 1. Do you and your wife purchase Kindle books with the same Amazon account? If the answer is yes, you’re in luck. Kindle books purchased under the same account can be easily shared between dedicated Kindle devices, iPhones, iPads, Android phones, you name it—and with no restrictions, either. Sharing the same Amazon account? 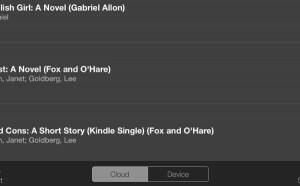 Make sure to tap the “Cloud” tab on your devices to see the Kindle books available for download. 2. Is your Kindle for iPad app signed in to the same Amazon account as your wife’s Kindle? If so, you should both see the same library of Kindle books on your respective devices. On your iPad, for example, make sure to tap the “Cloud” tab at the bottom of the screen to see the purchased Kindle books you haven’t downloaded yet. 3. Do you and your wife have separate Amazon accounts? Conversely, if your wife wants to read Kindle books purchased under your Amazon account, she’ll need to deregister her Kindle and re-register with your Amazon login. Keep in mind that deregistering your Kindle or Kindle app will wipe any existing Kindle books off your device; that said, your purchased Kindle volumes will still be sitting in your in-the-cloud Kindle library. Note: While I doubt the Amazon police would burst into your house if you borrowed your wife’s Kindle account, they’d probably frown on those who share their login credentials with friends and family who don’t live under the same roof. Merwin replies: “Ben, thank you for the quick response. Your column is great. I’ve learned a lot reading it.” Thanks, and you’re welcome! 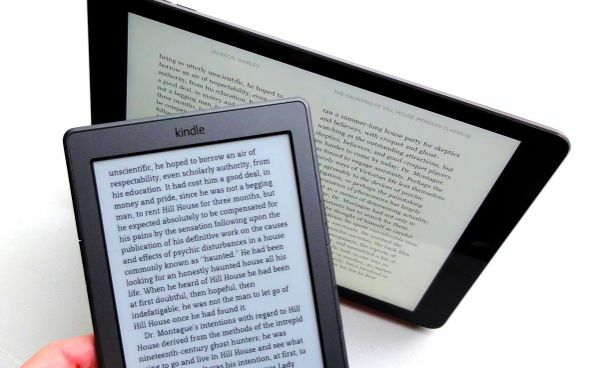 Yes, it’s possible to loan a Kindle book to a friend without sharing your Amazon login credentials, but there are several strings attached and caveats to consider. For one thing, you can’t loan just any Kindle book. Book publishers are the ones who decide which of their Kindle books are loanable, and which aren’t. In my experience, only a fractions of Kindle books have the “loan” option available. And even if you can loan a given Kindle book, there are typically several onerous restrictions. The loan period is usually only 14 days, and some publishers will only let you loan a specific title once—as in one time, ever. Still interested in loaning a Kindle book to a friend? Click here for step-by-step instructions. Click here for more Kindle tips!